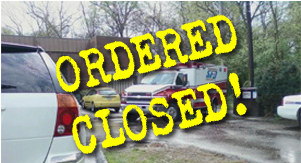 Cincinnati, OH – The Ohio Department of Health has denied an operating license to late-term abortionist Martin Haskell and ordered him to cease operations at his Lebanon Road Surgery Center abortion clinic, also known as “Women’s Med Center,” in Sharonville, Ohio, by February 4, 2014. The ODH refused to issue the license after years of dispute over Haskell’s lack of required hospital privileges. Haskell had operated under a variance granted by the ODH that allowed him to special permission to continue to commit abortions as long as he had an agreement with other physicians to provide hospital care for his patients suffering from abortion injuries or complications. “Operation Rescue’s vigilance and assistance in working to close the Women’s Med Center cannot be underestimated. They are a great asset in joining forces to put an end to the abortion industry,” stated Paula Westwood, Executive Director, Right to Life of Greater Cincinnati. Operation Rescue worked with Cincinnati Right to Life and helped expose the troubled history of the physicians who were listed on Haskell’s variance. Haskell obtained a variance in 2011 on the condition that three abortionists, Roslyn Kade, Walter T. Bowers, II, and David B. Schwartz, maintained unrestricted admitting privileges. Bowers’ incompetence was publicly exposed by Operation Rescue, which discovered that he had been banned from the practice of obstetrics in Kentucky and was placed on five years of probation. On February 29, 2012, Kade, who is also employed by Haskell to do abortions, lost her unrestricted privileges at Christ Hospital. Her privileges were a critical requirement for the variance. Shortly thereafter, Haskell temporarily amended his variance to replace Kade and Bowers with Chandra Gravely and Cindy Hansel. However, Haskell failed to notify the ODH in a timely manner about the personnel change on his transfer agreement. Operation Rescue discovered that Gravely and Hansel have also been accused of negligence and incompetence, having been sued at least seven times since 2000 for medical malpractice, including one suit wrongful death suit that included Hansel as a co-defendant. Operation Rescue had recently documented four medical emergencies at Haskell’s two Ohio abortion clinics, raising serious concerns for patient safety. Haskell’s Dayton clinic continues to operate under a variance, which now must be called into question as well.